With the Southern Rail strikes this week, safety on our railways is a hot topic. High powered engines, electricity and fast-moving vehicles are something of a recipe for disaster when considering the safety of railways. The strikes centred around the need for more safety, as Southern propose removing conductors, whose jobs have always been to ensure smooth safety on the railways. Without them, unionists argue, passengers will not be as safe getting on and off trains. Coupled with what Network Rail report as a 25% increase in alcohol related accidents at this time of year and the recent investigations to the Indore-Patna Express derailment in November, it’s a good thing that railways are beginning to take their safety more seriously. There are several ways in which railways address the safety of customers. There are standards regarding the upkeep of the track which have to be adhered to. In the Indore-Patna Express case, many miles of track have fallen short of this maintenance standard. In the UK, however, the railway staff worked tirelessly to repair storm damaged track in the South West’s main point of connection. This demonstrated a commitment to standards. Electricity is a dangerous thing, which means railways have implemented harsh requirements for safety. They need to be rugged with protection against overvoltage and overcurrent. XP Power PLC rigorously test and refine their power supplies to ensure safety on the rails. All power supplies come with safety stickers and are clearly marked as dangerous areas. 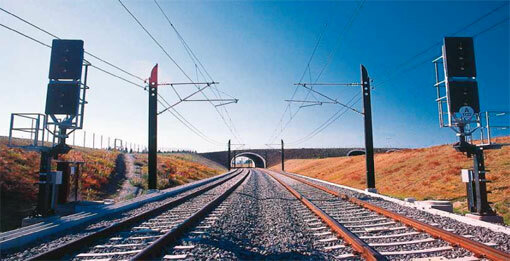 Railways have heavy duty paint lines which demonstrate where people should be walking. These need to be regularly maintained so they stay fresh too. In addition, there are large print plastic signs demonstrating safety precautions necessary. Despite the debate and striking, there is no doubt that having more staff present is a good way to ensure the safety of travellers in dangerous places. Conductors open doors, which alleviates rush and crush scenarios, and other station staff reduce traffic volume by pointing people in the right direction for flow. From the flow stem created on stairs by using the keep left policy, to clear signing and staff intervention where necessary, railways are creating a culture of safety for passengers to reduce accidents and ensure that everyone gets home safely.